A few months ago, I got a very sad letter. 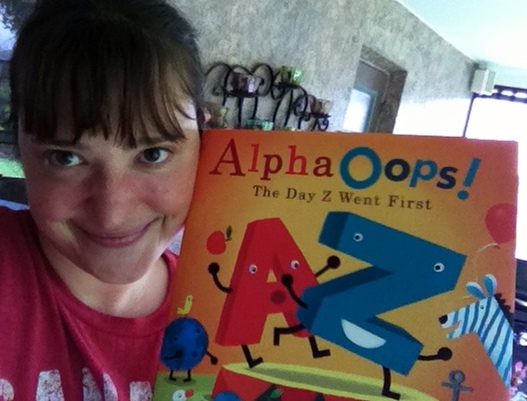 It was from Candlewick Press, informing me that my very first picture book, AlphaOops: The Day Z Went First, would be going out of print in hardcover. My life has been pretty horrible since December, but I’ve managed to hold it together. This time, I totally lost it. I called my mother and cried like a child had died. She asked me how many were left–50, 60, I don’t remember–and she volunteered to pitch in and help me purchase the rest of them. Of course, I wanted to give my friends a chance to have their copies too, so I posted about it online to let people know. Happily, there was a pretty good response. I gave it a couple of days before I emailed the publisher…I didn’t want to risk them changing the status of the book before the people I loved had a chance to get a copy. You want to talk about over the moon? I WAS OVER THE MOON, BABY. 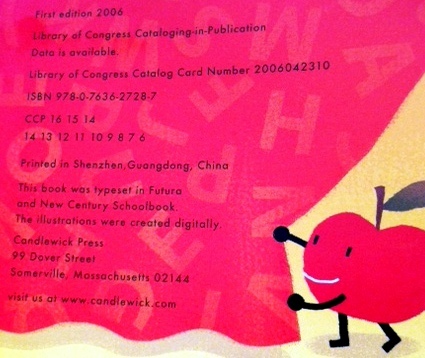 I didn’t want to say anything until it was official…I received the books in the mail yesterday. Two brand-spanking-new copies of AlphaOops: The Day Z Went First, in its SIXTH PRINTING. That’s right…YOU made it happen — all of you! — and I can’t thank you enough. Seriously. Thank you for keeping my book alive. You have given me hope in a year where everything seems to be falling apart around my ears. Little by little, I begin to have faith that my world can be rebuilt. Like Mom says, anything can be remodeled, as long as the bones are good. And let me tell you what, you have made me one happy Book Mama, folks. I can’t even tell you how happy. I am so humbled and SO INCREDIBLY HONORED by your love and support. I always will be. Now, if you want a new project, feel free to start sending emails to Candlewick Press to let them know that you’d really love to see that AlphaOops Christmas book…maybe if we’re really good this year, Santa will make all our wishes come true! Love you guys. You’re the best. I mean it. Miracle Max: Go away or I’ll call the Brute Squad. Fezzik: I’m on the Brute Squad. 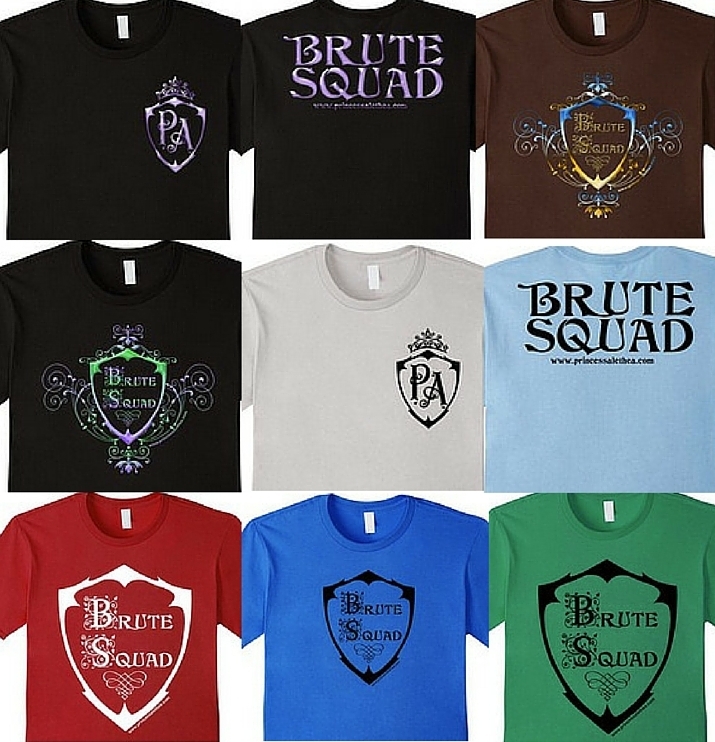 Miracle Max: You ARE the Brute Squad! At 8:05pm last night, book blogger Amanda Copulos sent out a bunch of tweets to authors, letting them know that she had stumbled across an eBay seller with multiple listings of ARC (advance reader copy) auctions on eBay…including one for Enchanted. I didn’t bother my publisher about this — these things happen all the time. Reviewers for big magazines get flooded with books. Some of those reviewers put up the excess unread review copies on eBay to make a few [hundred] extra bucks. Yes, it’s illegal (the books have “ADVANCE READING COPY x NOT FOR SALE” clearly printed in a starburst on the cover) and no, it’s not fair…but Mr. Goldman warned us that life was not fair many years ago. A few of us listened. A few of us still fight the good fight. As Amanda requested, I RTd the tweet she’d sent me, and I posted it on Facebook. I went to eBay and dutifully reported the seller as best I could. I also sent her a personal email, politely asking that she remove the listing out of professional courtesy. I’d rather see the book given away on a blog than sold to some stranger six months before the release date. I was annoyed, but I was not distraught. And then I went back to Facebook. I had received a few responses and DMs on Twitter about the subject, but Facebook exploded. My friends were trying to understand 1.) how this person could have done such a thing and 2.) how to take them down in the quickest way possible. My publisher doesn’t have a lot of review copies for this book, and reviewers who couldn’t get their hands on one were livid that someone else would do this with a book they’d been so desperately trying to get. Many folks were irate that the item was described as “unread.” In their eyes, my honor had been besmirched, and they frantically–and passionately–did all they could to set the world to rights. By midnight, the seller’s auction had been removed from eBay. 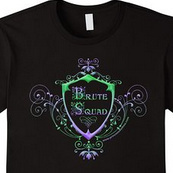 I am shocked, pleased…and I have to admit, a little scared at the power of my own private little Brute Squad. It reminded me that even in this Unfair World where it always seems we’re swimming upstream, a tiny pebble can still start an avalanche. The way to make an example of people who sell ARCs on eBay is to take them down one book at a time. One small thing really can make a difference. In this case, a handful of people who treasure books came down like a hammer and made a statement. I love every single one of those people. Do yourself a favor and don’t make them angry.